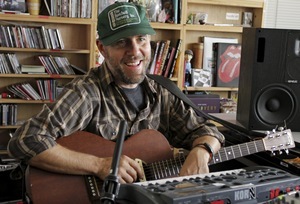 Jason Lytle of critically acclaimed indie band Grandaddy has recently been promoting the band’s latest album Last Place, released on Danger Mouse’s label 30th Century Records. During the interviews he’s been quite vocal about his admiration of a-ha, and in particular the Cast In Steel album. In an episode of the podcast Fidelity High posted last week, where musicians talk about albums they love, Lytle picked Cast In Steel. “Believe me, I felt the pressure to take the Beatles or Rolling Stones or The Who or The Kinks- route. And there’s a lot of modern records I really like, that could have made the list. But I always feel compelled to mention a-ha, because they have been a favorite band of mine for a long time”, Lytle says in the podcast. “The fact that they can make a record this far into being a-ha, and have it still be of such high quality, is really intriguing to me”, he says. 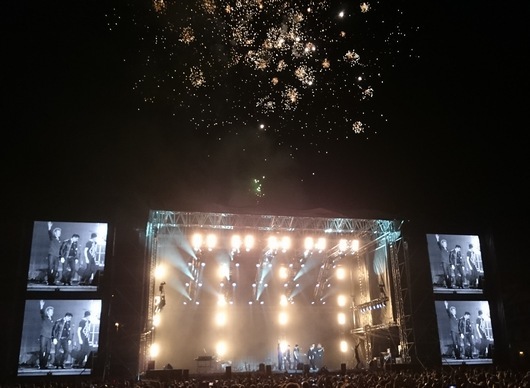 a-ha ended their Cast In Steel tour in Bergen on Saturday, 7 May, with an outdoor concert in front of 16,000 people at Bergenhus Festning. The band put on an energetic performance for an appreciative audience, making this concert a worthy ending of the Cast In Steel tour. After “Take On Me”, the night was topped off with a big display of fireworks above the stage. 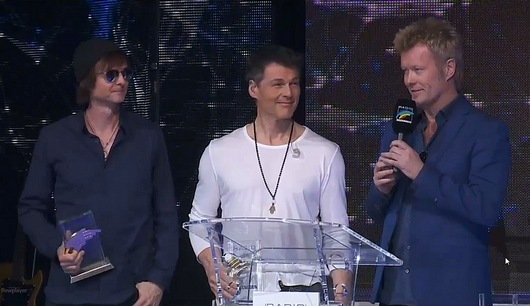 a-ha attended the annual Radio Regenbogen Awards in Rust, Germany last night, to be presented with the “Comeback of the Year”-award. They were joined at their table by Magne’s oldest son Thomas Vincent. 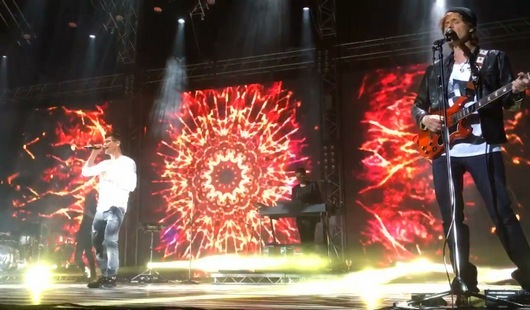 Two other Norwegian acts, Madcon and Nico & Vinz, also received awards and performed. They also performed two songs; “Foot Of The Mountain” and “Cast In Steel” (Steve Osborne version). They were joined by the backing band and Anneli on stage, even though it was only playback. A video clip of a-ha receiving the award and performing can be seen on YouTube. The Cast In Steel Tour continues in Mannheim today and Frankfurt tomorrow. Morten’s new autobiography My Take On Me is officially released in Germany tomorrow. The German edition is released first, to coincide with the current tour, but other languages will follow later (dates TBC). To promote the book, Morten has been doing several interviews recently. An interview with the Swiss newspaper Blick, which was done before the concert in Zurich one week ago, was published today. 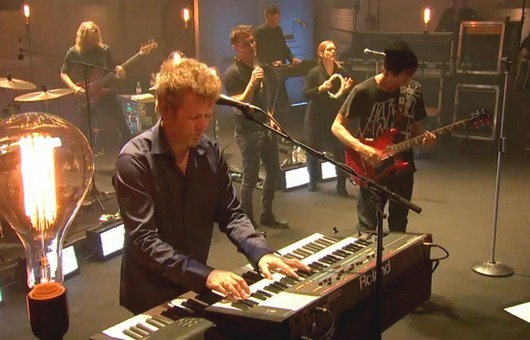 In it, Morten says the concert in Bergen next month will probably mark the end of a-ha…again. – But do you have to be close friends to keep doing that? – And the money won’t make you stay together? – Won’t you miss all the fame? – What are you going to do after a-ha? Morten’s new autobiography My Take On Me can be ordered from Amazon.de. Tickets for the May 7th concert in Bergen are available from Ticketmaster.no. 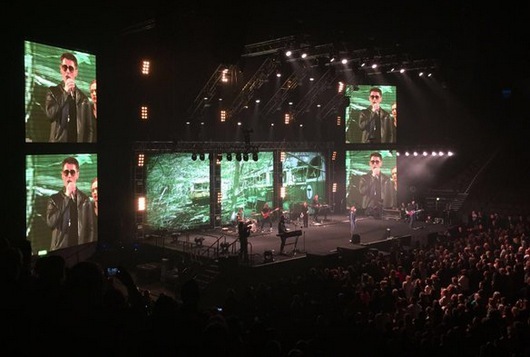 a-ha kicked off the UK leg of the tour at Manchester Arena on Friday night, this time with a larger stage production than in South America and East Europe; four additional video screens on the sides and more lighting. There were two changes in the setlist since Minsk last week; the new live version of “Cast In Steel”, which they premiered at the BBC concert the day before, and the very first live performance of “She’s Humming A Tune” – at the expense of “Living At The End Of The World” and “You Are The One”. This means there are now only four songs from the Cast In Steel album they haven’t performed live so far; “Objects in the Mirror”, “Door Ajar”, “Shadow Endeavors” and “Goodbye Thompson”. 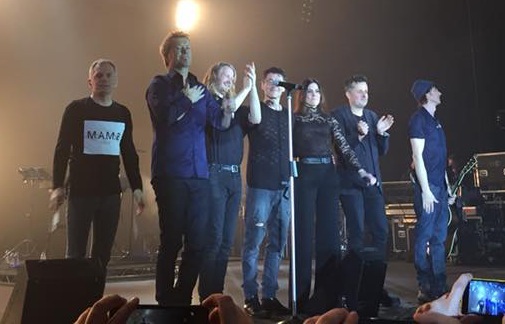 At the O2 Arena in London on Saturday night, they added an additional song they haven’t played much in recent years – “Here I Stand And Face The Rain” – but with Anneli Drecker on vocals instead of Morten. With Paul and Magne still doing “Velvet” and “Lifelines”, this gave Morten a 3-song break backstage in the middle of the show. 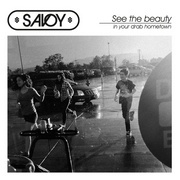 “There’s just too much of my vocals, there are no breaks. Every song has me at full power in one way or another, it’s too much for me. Moreover, it doesn’t work dramaturgically. I prefer instrumental parts without vocals. There’s a lot of great things to be heard in the music itself”, Morten told VG before the opening concert in Buenos Aires last year. 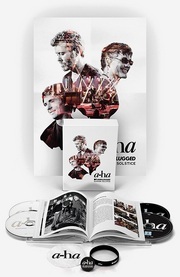 The complete setlists for both Manchester (20 songs) and London (21 songs) have been posted on a-ha.com. a-ha played an intimate concert for contest winners at the BBC Radio Theatre in London last night, which was broadcast live on BBC Radio 2. It could also be watched live on TV in the UK through the BBC Red Button interactive service and online on the BBC Radio 2 website. The whole concert is available for listening here. 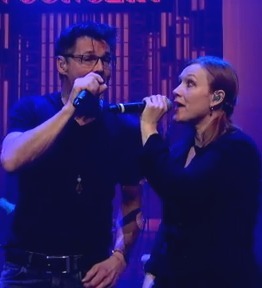 The band did a good performance, with Anneli Drecker joining them on backing vocals and in a duet with Morten on “Crying In The Rain”. 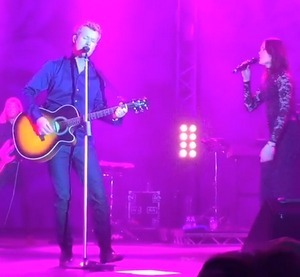 Apart from a guest-appearance in Tromsø in 2010, this was Anneli’s first time on stage with a-ha since December 2002. As for the setlist, “Cast In Steel” was played for the first time since October last year, this time more like the new Steve Osborne-version of the song. Last night’s performance of the song has been posted on YouTube. “It was great. It was a really intense feeling in the audience. 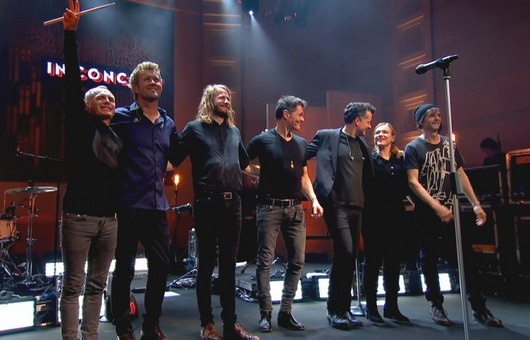 It’s rare that we get an opportunity to see people that are almost at the same height as we are, so you’re kind of staring them right in the face”, Magne said in an interview with Jo Whiley after the concert (starts at 1h 16min). Earlier in the day, a-ha also played two songs live on the Ken Bruce Show; “Under The Makeup” and “Foot Of The Mountain” which can be heard here. They were also guests on Simon Mayo’s show, listen here (starts at 15:30). A Q&A session they did with Jo Whiley before the concert can be seen on YouTube. The Cast In Steel Tour continues tonight, at the Manchester Arena. 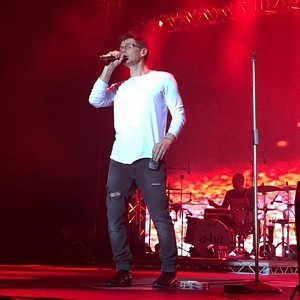 a-ha played the last two concerts of the East European leg of the tour last week, in Riga, Latvia on March 15th and Minsk, Belarus on March 17th. These were also the last two concerts with guest vocalist Tini Flaat Mykland, who will be replaced by Anneli Drecker in the UK this week. The 20-song setlist in Riga and Minsk was the same as St. Petersburg and Moscow, the only slight difference being that “Foot Of The Mountain” and “You Are The One” were switched around. They are still only playing two songs from Cast In Steel; “Living At The End Of The World” and “Under The Makeup”. In Minsk, everything seemed to indicate that “Giving Up The Ghost” would return as the opener, as they used that specific intro music and video animation – but suddenly they started playing “I’ve Been Losing You” instead. Very odd. Incidentally, several of the Apparatjik-style animations used on this tour, including the “Giving Up The Ghost” video, seem to have been created by Jonas Bjerre. The venue in Riga was barely half-full, judging from some of the pictures and videos, but the turnout was better in Minsk and the audience and media reception on this tour seems to have been quite good overall. 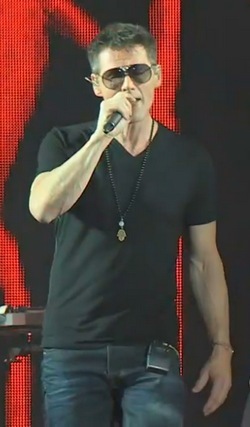 a-ha played at the Olimpiyskiy [Olympic Stadium] indoor arena in Moscow on Saturday, 12 March. This was their sixth concert at this particular venue and their eighth concert in Moscow, having previously played in the city in 2001, 2002, 2003, 2006, 2009 and 2010. The Olimpiyskiy arena is so large that a-ha’s stage setup appeared quite small this time, compared to the other arenas. The setlist in Moscow was the same as in St Petersburg on Thursday, meaning “Giving Up The Ghost” and “Mythomania” were still absent, while “We’re Looking For The Whales” and “You Are The One” remained. “I’ve Been Losing You” opened the show again. Instead of standing at the front during “Velvet” and “Lifelines”, Tini was standing further back on the stage this time. The left screen seemed to malfunction during some of the songs. “[The setlist] has been a mixture of old and new so far. But it’s kind of changing on a nightly basis, or has been on this leg of the tour. It’s easy, in a way, to settle into playing all the big hits, because you know the reaction is always great to that. At the same time, you try to put some new songs in there and re-arrange some of the songs, so that they are different than you’ve done before and what people have heard before”, Magne told BBC Radio 2’s Jo Whiley on the phone from Riga tonight, as it was announced that a-ha will play an exclusive concert for Radio 2 at the BBC Radio Theatre in London on 24 March. More info at bbc.co.uk. 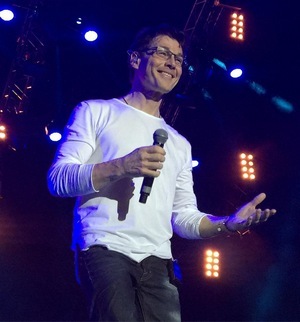 a-ha played the second concert of their spring tour at Basket-Hall in Kazan on Tuesday, 8 March. The setlist was identical to Yekaterinburg two days earlier, although “Here I Stand And Face The Rain” was played during soundcheck – a song they have only played a few times since the 1991 tour. Yesterday’s concert at the Ice Palace arena in St. Petersburg, however, included several changes. Most notably ditching two songs from Cast In Steel; “Giving Up The Ghost” and “Mythomania”, in favor of two oldies; “We’re Looking For The Whales” and “You Are The One”. This means that although it’s called the Cast In Steel Tour, a mere two out of twenty songs last night were actually from the new album – the lowest number of new songs they’ve ever played on a tour supporting a recent album. The order of the songs had also been shuffled around quite a bit last night, compared to the first two shows. They usually experiment with different setlists at the beginning of a tour, before it settles, so we’ll see how it evolves from here. Next tour stop is Moscow on Saturday. Keep an eye on a-ha live on Twitter, as I’ll try to live-tweet during each concert. One special thing about St. Petersburg was the local support band Red’s Cool, an “uncompromising hard-rock band”, which certainly stands out among the many support acts a-ha have had in recent years. Here’s a short video clip of them on stage. Mew/Apparatjik vocalist Jonas Bjerre attended the concert last night, as Magne’s guest. And there’s a great photo gallery from the show on Facebook, taken by Andrey Lukovnikov. On March 9th a-ha did a press conference in St. Petersburg. There’s a photo gallery from the event at spbdnevnik.ru. 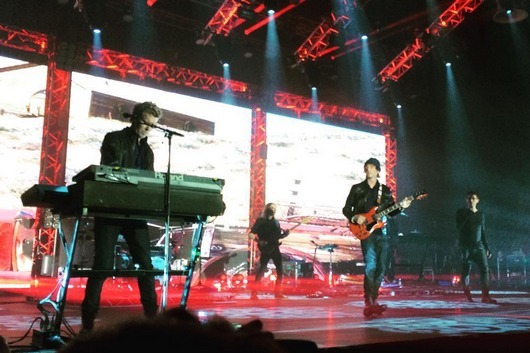 a-ha opened their 2016 Cast In Steel Tour at the KRK Uralets arena in Yekaterinburg tonight, the first of 33 concerts in Russia and Europe this spring. 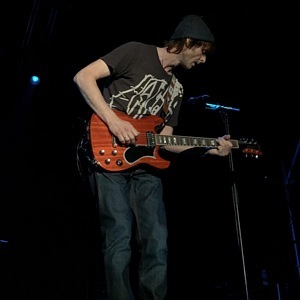 The setlist included several changes since South America five months ago, starting with the premiere performance of “Giving Up The Ghost” as a new opener. Two other songs, “Mother Nature Goes to Heaven” and “Living at the End of the World”, were also performed for the first time tonight. The Paul/Magne solo section we remember from the Lifelines tour made a welcome return, with Paul singing “Velvet” and Magne singing “Lifelines”, both with Tini Flaat Mykland on backing vocals. 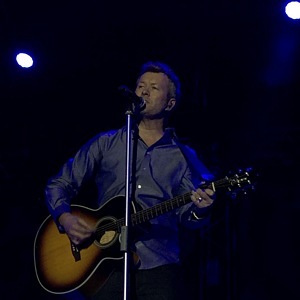 “Thank you for giving us such a warm welcome here in Yekaterinburg”, Magne told the audience before introducing the band. 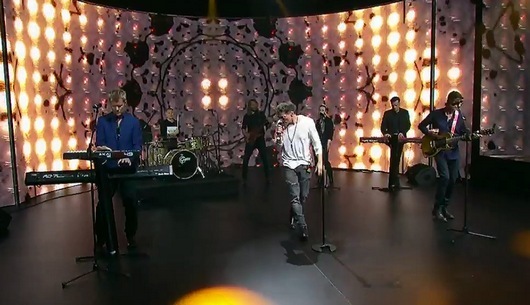 Prior to the show, the guys were interviewed on Russian TV, which can be seen here. The tour continues in Kazan on Tuesday. 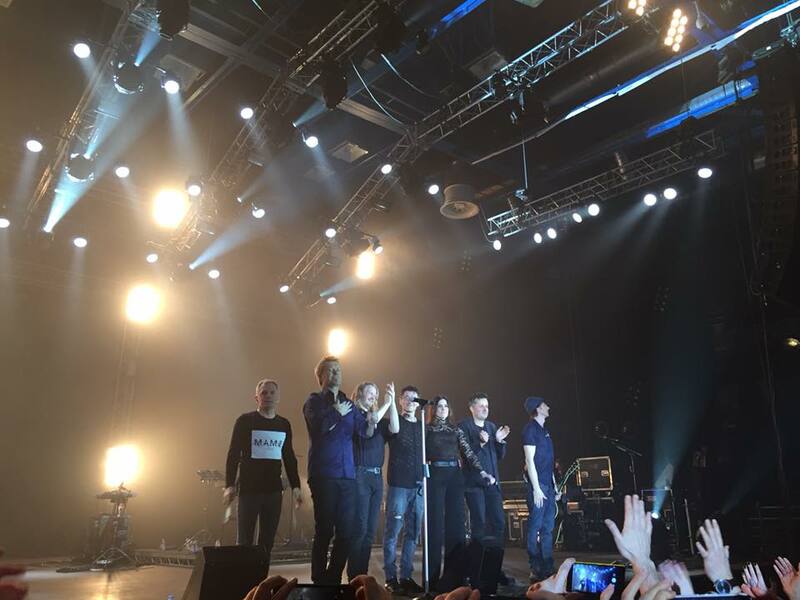 Thanks to the fans in Yekaterinburg for Periscoping, Instagramming and YouTubeing the concert!